all about virtualization: What happens when the VMware Evaluation license expires ? What happens when the VMware Evaluation license expires ? 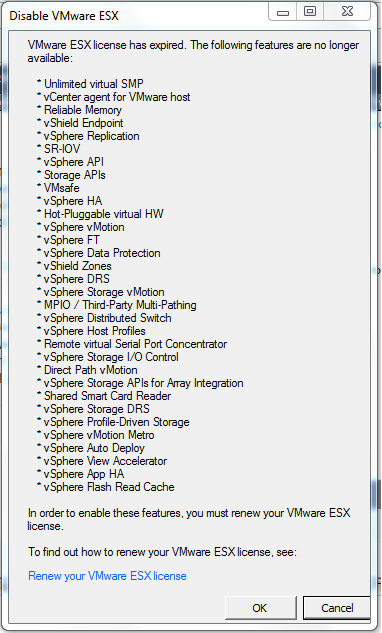 Vmware almost has all the products available for 60 days evaluation period. All the features are functional and available to be tested before buying it or maybe for POC for any customer. 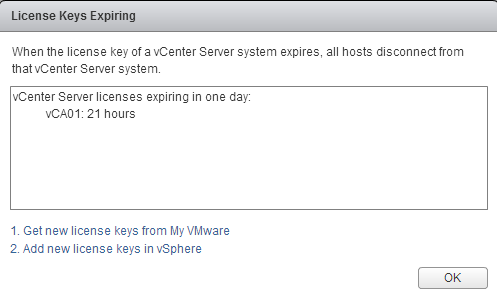 So, what happens to the vSphere ESXi and vCenter Server after 60 days ? Its keeps warning about the remaining time from day 1 of the evaluation period till it reached the last day like below and gives option to add the new License Key. All the hosts gets disconnect and it wont allow you to add existing or new hosts to vCenter Server. 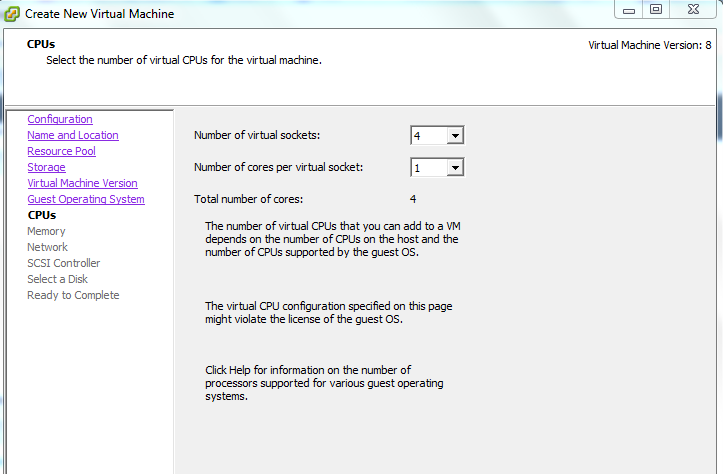 All the Virtual Machines remain intact and running. The moment you connect to the ESXi host, you are welcomed with this pop-up window. All the VMs are still running and accessible, they are can be restarted. 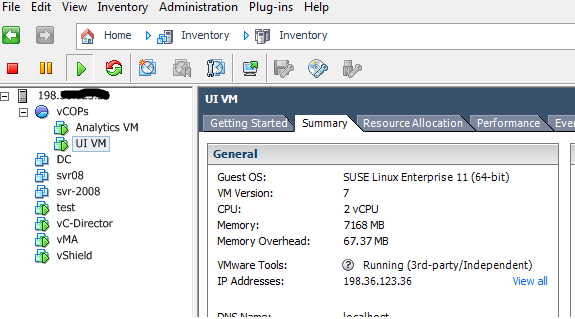 New VMs can be created but cannot assign more than 4vCPU also remember that this is running on ESXi 5.0 mode as we are connected using vSphere Client. It behaves somewhat like free ESXi which runs as standalone host and which cannot be added to vCenter and without any advanced features. But Free ESXi has better configuration maximums in terms of CPU and Memory assignment to VMs.